MLS had this on their website for best celebration of the year. I agree and therefore I post it here for my faithful readers. Tout Puissant Mazembe, a soccer club from the African nation of DR Congo (yes, the former Zaire) has shocked planet football by defeating Brazil's powerhouse Sport Club Internacional of Porto Alegre, Brazil in the Club World Cup. Mazembe did this after first defeating Mexico's Pachuca, another storied side by the score of 1-0 in the quarterfinals. The Club World Cup, an annual tournament sanctioned by FIFA is being played in Abu Dabi (United Arab Emirates), traditionally pairs a South American team versus the winner of the UEFA Champions League. Usually, this tournament is thought of as an afterthought by the top European squads and of lesser importance for the Conmebol (South America) teams. This isn't always the case, however. Teams like LDU Quito of Ecuador took the games very seriously after winning the Copa Libertadores for the first time. Barcelona also was keen on winning the title in 2009 to complete their world dominance. 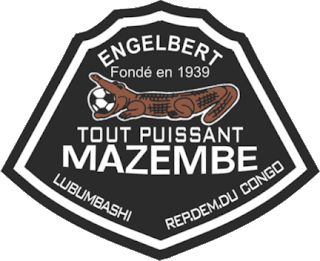 So why should it be different for Mazembe? Perhaps Pachuca came deflated from their excruciating playoff game versus Monterrey a couple of weeks ago. 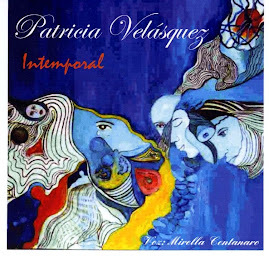 Maybe it was the same case for Internacional. But this unprecedented event could pit the African continent's representative versus Inter Milan--assuming they proceed to the final. Mazembe's incredible Cinderella journey is not over yet. They have a final to play (team to be decided tomorrow), and an even bigger upset would surely place them at the top of historical upsets in world soccer. This is perhaps a way to show the true globalization of the beautiful game. Anyone with a good team can win an international tournament regardless of history. Anyone with the right resources can host the World Cup regardless of history. There may be no promotion/relegation in America's professional soccer league system. The Portland Timbers and Vancouver Whitecaps are entering MLS as expansion sides, not as promoted squads from the USSF-2 lower division. There is also a rising tide of player development within MLS teams, but nowhere near enough to have significant homegrown talent. But American futbol has another type of soccer: the College game. Today, Akron prevailed by the score of 1-0 over Louisville and are now the NCAA champions. Caldwell's strike in the second half gave the Zips the only goal of the match in a game that was largely controlled by the Ohio team throughout the first half. Louisville could have scored at least twice in the dying moments of the game in front of an open net. In the end, it was a deserved win for Akron and its outstanding coach: Caleb Porter. The Zips could and should have won last year but were defeated on penalties by Virginia. But what is the real importance of the college game? How does it affect US soccer? Very much so. If you are familiar with certain names: Dempsey (Furman), Charlie Davies (Boston College), Carlos Bocanegra (UCLA), then suddenly it becomes obvious that significant talent can be found in this player pool. It is also a means for MLS to acquire the best talent available in the United States, even international players like Zakuani and Ngwenya. The US' love affair with "college draft" is preserved in the American soccer league and it deserves credit for portioning talent in an equal manner for all MLS teams. There are some caveats to the college game, however. For one, there are the "time outs" and countdown clock. These two are as American as apple pie. There's no such thing in the world's game. Even if there are 45 minute halves, the fact that these rules remain in place surely subtracts from the league's reputation. It thus places it as an afterthought for many American fans of the game and even more so for the rest of the planet. How long will the college tournament last in its relative prestige? 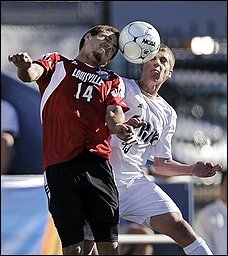 With the increasing player development in most MLS teams, the situation for college players changes a bit... or does it? Maybe it should be regarded for what it is: a lower division full of youngsters eager to make the jump to professional soccer. If the NASL (formerly USL and USSF-D2) is the "Championship" or "Serie B" of the USA, then the NCAA is the "League One" or "Serie C" of US soccer. Or is it more of an alternate second division? In the end it means this: more players, more talent. FIFA decided last week that the World Cup 2022 would be held in Qatar. A travesty? Brilliant move? Sign of corruption? A step in the right direction? Only time will tell. Hopefully it's a positive move. But for those that disagree, there is plenty of credence in their claims. Having read about Qatar's plans for air conditioned stadia, training grounds and alcohol permits, things don't look so bad. So, there are certainly some positives. From increased attention to the sport in the Arab world, recognition of this culture's love for the game and opening their doors for the rest of the world, to the promise of millions of dollars for player development in the Middle East. Indeed, reports suggest that Qatar's hosting of the Cup could be an economic coup for the world football governing body and this area of the world. Billions of dollars in communications packages, temporal coverage for 82% of world population (they are 8 hrs ahead of ET). Indeed, it may be difficult for Pacific islands but not for land masses (as was the case with Korea/Japan 2002. Qatar also has very deep pockets. Enough for hotel/stadia. Also within the package is the fact that they plan to ship their stadiums elsewhere once the games are over. An interesting proposal. But where? How? The Middle East? That's their intention so let's hope it remains so. But let's have some perspective. Qatar is in the 113th place in FIFA rankings. And yes, those rankings don't mean so much when you get to the top 50 or so, but this diminutive nation has never made it to the World Cup. It boasts a population of ~1.6 million. Expect up to a third of its population in tourists alone. Are they going to air condition the entire country? Remember that the World Cup is always held during the boreal summer. 2022 will be no different. So what happened to the US' bid? Overtaken by a diminutive country with limited soccer history but with very deep pockets. That's where Qatar won, in the amount of private resources available. The USA has world class stadiums, ardent fans, media support, and excellent transportation systems. But it wasn't enough. This country is still ruled by the big three: Football, Basketball and Baseball. Even though there is significant ethnic diversity and large populations from nearly every corner in the world, it still wasn't enough. It is my hope that it came down to technical aspects of Qatar's bid and not so much its pocketbook or alleged corruption claims. Would CONCACAF really have betrayed the US? Truthfully, I think a #1 requirement for a World Cup host is to have participated in at least one such event. If this were Saudi Arabia, Iran (with political caveats) or United Arab Emirates, perhaps critics out there, including myself, would not have second guesses on FIFA's decisions. I also hope that FIFA isn't doing this to act as a Robin Hood of sorts, i.e. giving competition chances to those that lack them. Or is it that FIFA is, as some out there claim, a type of mafia. If the US needs a soccer tournament to enhance the sport's image then I suggest Conmebol and Concacaf stop stalling and finally create the Copa Americas that we have been asking for ever since the Copa America started inviting Concacaf teams to the continental tournament. The Gold Cup could remain as a qualifier mechanism. Right now, as it is, the Gold Cup is highly defective due to its perennial hosting in the United States and because it's held every two years. Time for a change.... how nice would it be to have a Copa Americas USA 2015 or 2019? In the end I embrace FIFA's decision as a show of trust in the Arab world, a way to link the world's population for peaceful purposes in an area of the planet experiencing so much turmoil, and also for the development of the untapped talent in this part of the globe. Qatar has the resources to throw a great party. Good luck.